A vCard (or virtual card) is a payment card much like the credit and debit cards in your wallet. You, or your vendor, can use them to pay for goods and services in much the same way you might pay for these things using your credit or debit card. vCards are accepted wherever MasterCard charge cards are accepted. You have greater control over these cards, as they are created, loaded, and canceled however you wish and all through your dashboard. Like a debit card, their spending limit is equal to the funds you have put into them. Payment authorization, confirmation, fund transfers, and transaction fees are all the same as paying with other cards. A vCard is only ever in digital form and thus cannot be physically swiped through a card reader (though it can be manually entered in a virtual terminal or online checkout form). A vCard has security precautions regarding who can use the card and (for your security) who cannot. 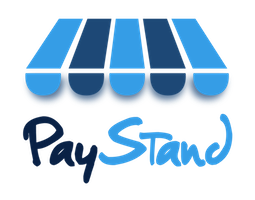 PayStand can notify you automatically and immediately when a transaction takes place.